Materials and Lighting has always been a successful class; it is taught with 3D Max. However, we found students thoroughly enjoyed texturing, understood unwrapping, but continued to have difficulty in lighting. This past Spring 2015 quarter I changed the class to focus more on lighting. We still begin the course with the basics of texturing and lighting. We first go over how to create tile-able textures and the simplest form of unwrapping. Then we spend a few weeks on unwrapping modifiers in 3D Max utilizing basic cubic shapes and unwrapping organic shapes. If a polygon object is not unwrapped properly, it does not matter how strong the texture or light is. It won’t show properly unless you master unwrapping. Next we focus on lighting and adding to your textures to show the best result. We begin lighting with the three point light setup. Next I give the students a basic still life and picture. They need to match the lighting of the picture. I use this technique the most in teaching lighting. For animation and drawing, you always look at references. 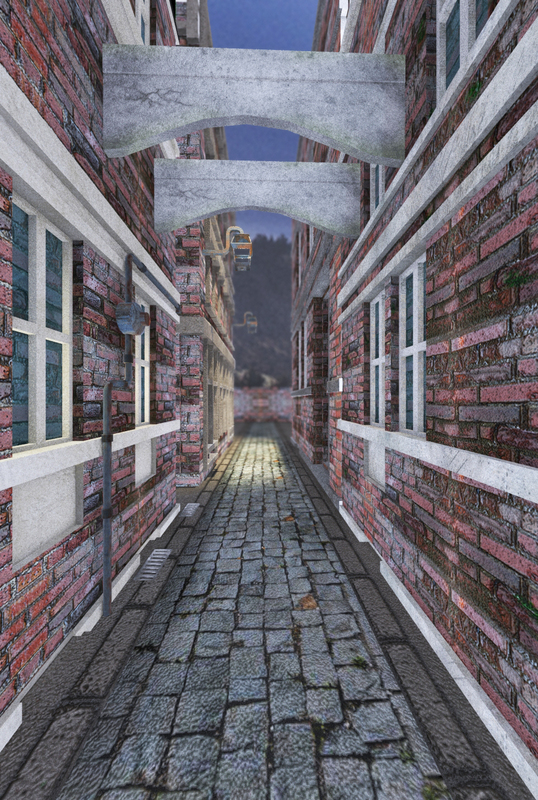 Students need to understand the same concept applies to texturing and lighting. New for this quarter I changed the midterm project. No longer seen as a midterm, they now have a project to work on over the course of three weeks. 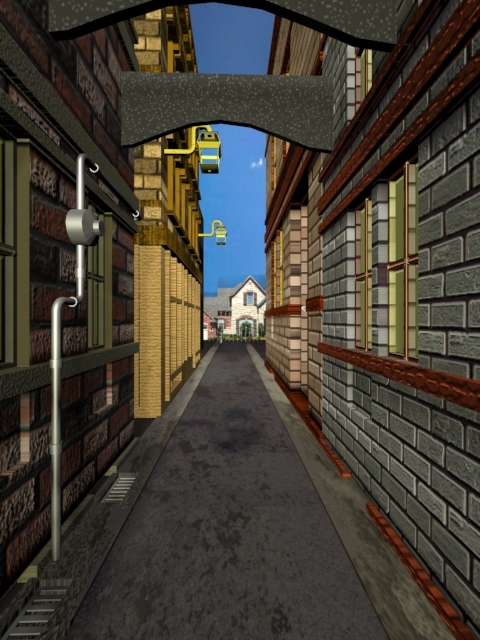 I give all the students the same blank Alley Way 3D Max file. 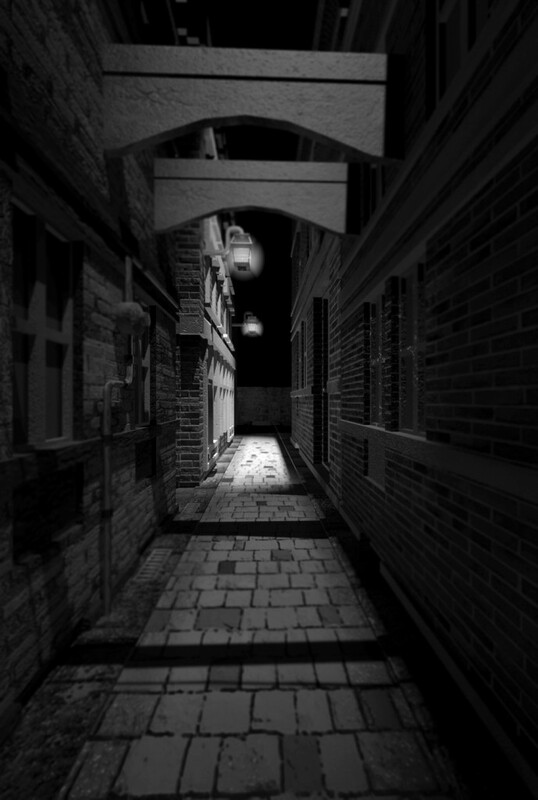 For the first week students unwrap the alley, create black and white textures, and light the alley with only white light. 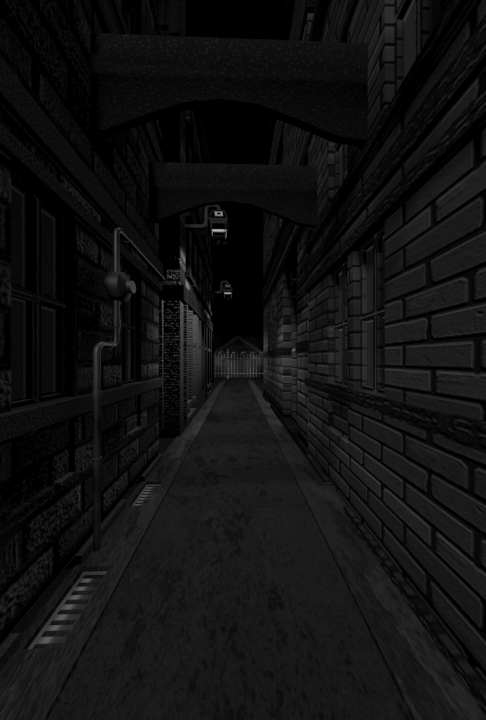 The second week they add value maps to the alley such as bump maps, alpha maps, and specular maps. The final week they redo any unwrapping that may be needed and now create color textures and color lighting. This project turned out much stronger results than previous quarters. Taking the modeling aspect and camera composition out of their hands, gives the students much more time to focus on what is really needed in this course: the texture and light.